Dentures are custom-crafted to fit your mouth and your specific tooth replacement needs. They provide a cosmetic and functional replacement solution for tooth loss. To make your dentures, Dr. Doring will make a series of impressions of your jaw, including several measurements. A model will be crafted, tested, and adjusted until the color, shape, and fit of the denture are right for your needs. Once the model is ready, it is sent to the dental lab and used to cast your permanent denture. Finally, you will receive your permanent denture and minor adjustments will be made, if necessary, to ensure comfort and fit. These dentures are a great option if you need replacement for all of your upper and/or lower teeth. Once your gums have fully healed from any extractions, we take impressions and measurements of your jaws and gums. These are used in crafting a custom model of your future denture. The model will be adjusted for fit, then sent to the lab for the denture to be made. Once complete, we will fit the denture to your mouth. Also known as dental bridges, these dentures are a replacement for one or more missing teeth. Besides the aesthetic reason for bridges, patients often choose to have a bridge to prevent teeth from rotating or shifting into the empty spaces caused by tooth loss. A standard bridge places a crown on the teeth surrounding the empty space, then attaches a replacement tooth to those crowns. Dr. Doring will help you match the replacement to your natural teeth for a consistent look to your smile. These dentures provide replacement for all upper and/or lower teeth. They can be removed for cleaning like conventional dentures, yet are far more secure than unsupported dentures. These dentures can be attached with as few as 4 implants, though are more secure with additional implants. Dr. Doring will advise you on how many implants are best for your removable implant-supported dentures. This type of full denture also replaces all upper and/or lower teeth. These dentures are permanently anchored to your dental implants. They are used to replace a full set of teeth and can be helpful in preventing bone loss. The strength of dental implants provides an ideal anchor for dentures that will not become loose or slip within your mouth. These partial dentures are a type of bridge that is anchored to one or more dental implants. A standard bridge is a type of partial denture that replaces one or more teeth. The standard bridge secured to surrounding teeth, which can cause these neighboring teeth to become loose. With implant-secured partial fixed dentures, the implant provides the anchor, so your natural teeth are not compromised by your teeth loss solution. With any form of dentures, you should follow up with our doctor as recommended. We may need to make adjustments to your dentures over time to keep proper fit and full comfort. You should clean your dentures regularly using a soft bristle toothbrush and a non-abrasive cleanser to avoid build up of plaque. Generally, dentures should be replaced every 5-10 years. Ask Dr. Doring to evaluate whether your dentures should be refit or replaced. Let us help to restore your smile today. 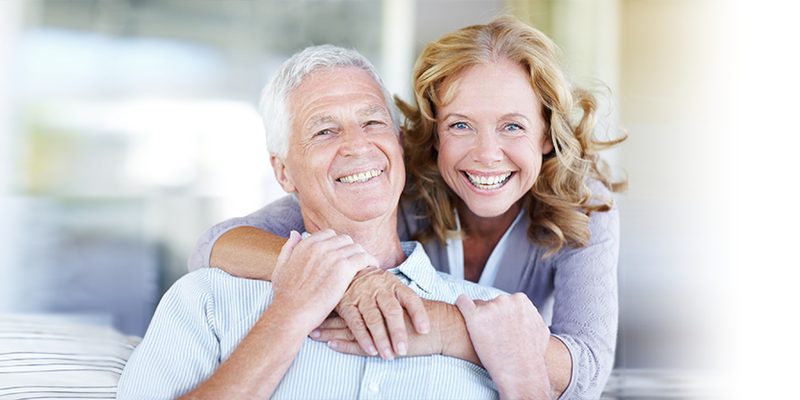 Contact our office today for more information on dentures or to set up an appointment.